COPMeD is the Conference Of Postgraduate Medical Deans (UK). It provides a focus for those responsible for the strategic overview and operational delivery of postgraduate medical training in the four nations of the United Kingdom, and by ensuring excellent training, is a key player in maintaining quality of care and patient safety. 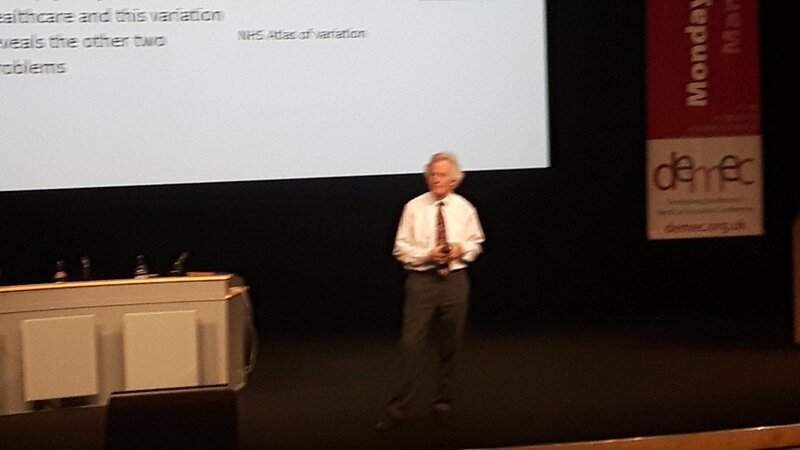 #DEMEC2017 the iconoclastic Muir Gray in full flow this afternoon.